What: Begin at improver skate class if you are self-taught, rolling well while skating, but you are unable to use the heel brake stop method well and you do not feel secure on hills. We will teach you required skate skills to manage hills well, find more power in each push and how to prevent and deal with emergency situations. SkateFITness Stride (Gear 3 and 4) and a trail stride. 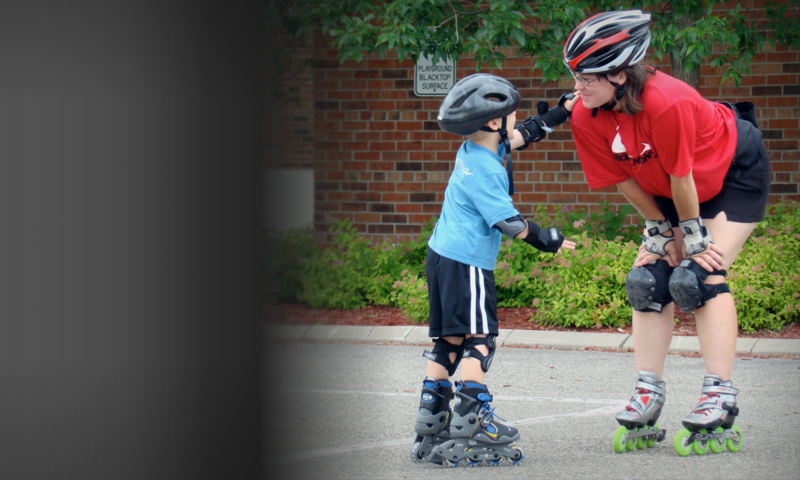 The Improver clinic is geared for skaters who consider themselves advanced beginner and above, or have taken our Beginner course (OSB1) and want to progress to the next level of stopping ability. We focus on OSB2 /3 skills. See our progression chart. Bring: Chair, sun lotion, skates with a brake and the three pads (elbow, knee, and wrist guards) and a helmet (bike helmet is fine). Class, Skate Rental and Protective Gear (Sans Helmet) $61 + service fee.